Destiny 2’s game director Luke Smith has answered a bunch of player questions on a new video for Wired. There’s a lot of information here, including lots of feedback from the recent console, and currently active PC, betas. 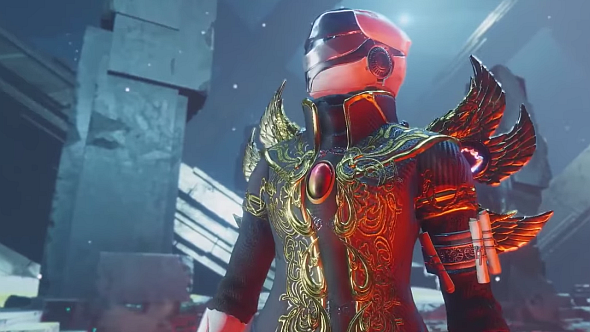 Decide who you’ll roll with our Destiny 2 class guide. Confirming speculation, Smith says you can indeed change the elemental damage type on Legendary (not Exotic) energy weapons by switching their mods around. Smith admits that fusion rifles “were a little hot” in the PC and console betas, and so will be tuned to bring them in line with other power weapons. Hopefully Bungie don’t nerf them into the ground never to return, like they did a few weeks after Destiny 1 launched. There are changes to other power weapons after the beta – flinch and sway on sniper rifles will be reduced, and rocket launchers will do more damage in PvE. The distinctive Exotic rocket launcher that was first spotted in the Destiny 1 database, which fans have affectionately named the rocket microphone and the dubious volley, is actually called the Wardiff Coil. Returning enemies like the Vex and the Hive won’t feature much in the main storyline of Destiny 2, but Smith says “we are pointing at places we’re gonna go next.” He cites the Cabal distress signal in Destiny 1’s Taken King expansion, which was a little hint that the Cabal were about to feature. Given Destiny 2’s first expansion will focus on Osiris, who was famously obsessed with the Vex, I’m betting they’re about to have a big role to play. 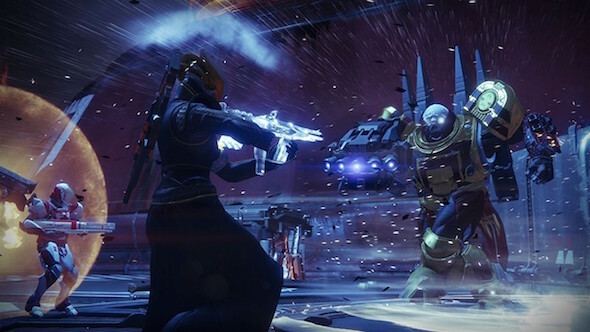 Private PvP matches are on an internal list of features that Bungie does want to implement, but Smith can’t promise they’re definitely coming “in the first few updates” after launch. It’s pretty clear Bungie wants to add them, but no promises as to when. Grimoire cards may be gone, but lore will be added to the game in ways we still haven’t seen. For one, weapons will have lore tabs – whole pages that unfurl their history in-game. Speaking of other class trees, Smith discusses the Voidwalker Warlock’s other path, which he calls the “devour path.” This enables Voidwalkers to activate a devour state, either by getting a charged melee kill or by consuming a grenade charge. In devour state, any kills will heal you. This tree also has a version of the Voidwalker’s Super, nova bomb, which travels much faster than the so-called ‘slova bomb’ that we’ve all been using in the top tree. And finally, in answer to a question about the balance of power weapons versus Destiny 1’s specials and heavies in the PvE end-game, Smith says all enemies with special (golden) health bars will drop power ammo. Presumably, he’s saying this to make the point that you’ll get enough uptime with power weapons that you won’t miss your speicals or heavies from the original, and that DPS races will be balanced accordingly. Here’s hoping. It all sounds fairly encouraging – between the changes we’ve already seen in the PC beta when it comes to grenade damage, Super charge rates, and power ammo drops, Smith answers the last lingering concerns to surface from Destiny 2’s beta tests when he talks about Hunters and movement speed. Is there anything else you want to hear from Bungie, or are you sold? How are you enjoying the PC beta so far? Let us know in the comments.